The state's politicians could've used recent court judgments as an opportunity to carry out reform. Instead, they will plead with the Modi government to extend mining leases further. A delegation of members of legislative assembly (MLAs) from Goa are headed to Delhi on Monday. They will plead with the Centre for an ordinance to retrospectively amend a 1987 Act, so that existing mineral leases get automatic extension for another 20 years (till 2037). In effect, this is a plea by Goa’s ruling politicians to regularise illegal mining from November 23, 2007 till date – the amounts recoverable from Goa’s miners likely exceed Rs 1,00,000 crore – and to hand over another tranche of public money valued at another Rs 1,00,000 crore to the same illegal miners, instead of getting the state the best value through public actions. To apply the Supreme Court’s words used by it in its recent Goa mining lease renewal case, “the inferences that can be drawn are obvious”. Natural resources, including minerals, are a shared inheritance, owned by the state in trust for the people and especially future generations. It is our duty to ensure that we protect our inheritance for future generations. Only if we do that may we consume the fruit. A loss is a loss to our children and all future generations. Riding the anti-corruption surge and the leaked PAC report, the BJP led by Manohar Parrikar won a majority in Goa’s legislative assembly elections in February 2012. A key promise was to clean up corruption. Following the Shah commission report, Parrikar banned mining in Goa on September 10, 2012. In the subsequent PIL filed by the Goa Foundation (GF), the Supreme Court issued a historic judgement in April 2014. A number of other illegalities alleged were left to the Goa government to pursue. The period of illegal mining was under Digambar Kamat of the Congress. Goa now had a clean slate. No existing leases. The recoverable due to nearly 5 years of 100% illegal mining was conservatively estimated at Rs 65,058 crore, or Rs 4.5 lakh per person (Goa Foundation). 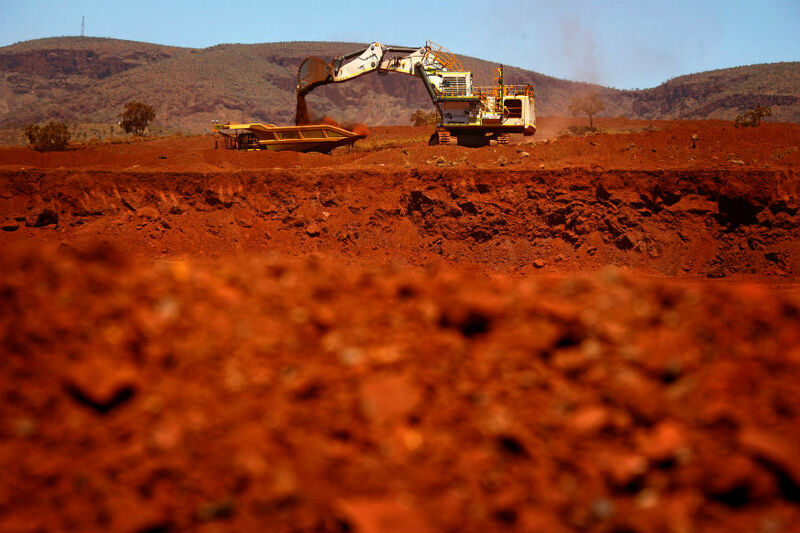 Recent claims by the Goa Mineral Ore Exporters Association (GMOEA) – that Goa exported $7 billion of iron ore each year before 2012 – would lead to recoverable amounts of over Rs 2,04,750 crore! Less than a month after the SC judgment, in May-2014, the BJP won a historic majority in the general elections, promising that natural resources would henceforth only be auctioned. Keeping with its promise, in November 2014, it introduced a bill for public consultation providing that henceforth mining leases could only be granted to private players through auctions. Only public sector undertakings (PSUs) could still be allotted mineral leases without an auction. Back in Goa, Parrikar ruled out auctions and PSU mining despite the BJP manifesto. Auctions raised the threat of the unknown mining mafia coming into Goa, he said, and PSU mining raised the possibility of corruption and misgovernance. Instead of recovering the amounts legally due from the miners and either auctioning mines or mining under a PSU, the BJP government, initially under Manohar Parrikar and later under Laxmikant Parsekar, renewed 88 mining leases. Not just renewed leases, but back-dated their period of validity to November 22, 2007. In effect, this gave up the claim of Rs 65,058 crore. Also, as the leases would continue on the old regime without auctions, a further Rs 79,865 crore would be handed over during the remaining life of the leases (to expire November 22, 2027). All in all, a total grant from the Goa government to the miners of Rs 1,44,865 crore (or Rs. 10 lakh per Goan). An important justification was the disruption to the income of the mining dependent. Over the years, approximately Rs 300 crore has already been spent for the mining dependents, mostly for truck and barge owners. Mining restarted on August 10, 2015. Within two years, Goa witnessed massive air pollution violation in Sonshi village, when the Bombay high court took suo motu notice, as did the state Child Rights Commission and the state ST Commission. Simultaneously, using the mining surveillance system, 12 new cases of illegal mining were detected. “It was observed by Justice Khehar in Natural Resources Allocation that material resources of the country should not be dissipated free of cost or at a consideration lower than their actual worth. This was not kept in mind and mining leases were renewed for a small payment of stamp duty and royalty. It is therefore clear that the considerations that weighed with the State were not for the people of Goa but were for the mining lease holders. In effect, the position from the previous judgment has been restored. Mining after November 22, 2007 is illegal. Even larger amounts are recoverable, more than enough to provide for any further doles to the mining dependents. Numerous mining pits and quarries have been abandoned, even in wildlife sanctuaries. Agricultural fields & river bottoms are coated with iron ore, at times a metre thick. Dump mining could be conducted by a PSU, with auctions of the raising contract and the iron ore for sale. This would utilise the mining cap for at least 8 years, giving the land some breathing time and space to recover health. Recoveries are to be saved in the permanent fund, and only the real income distributed as a common dividend. This option, advocated by the Goenchi Mati (Goan Earth) Movement, would create jobs, provide a shared prosperity and restore a green Goa. The alternative of restoring the environment as an economic opportunity is never discussed by Goa’s politicians. Instead, they see only two legal courses of action – fresh mining through a PSU or fresh mining through auctions of mining leases to private entities. Neither is attractive. The existing miners would still need to cough up huge sums and they would nevertheless be debarred from mining for their persistent illegalities. This is a mortal threat to the entire miner-politician-bureaucrat nexus. As a result, Monday will witness Goa’s MLAs (both Congress and BJP) pleading with the NDA government at the Centre to pass an ordinance so that they do not have to pursue their miner friends for recovery of illegal gains and start afresh. They will plead to give away more of our collective mineral wealth to a few super-rich miners, leaving behind a corrupt, devastated and bankrupt Goa for our children. We hope they do not succeed. That is not the reason they were elected to the assembly. They were elected to ensure the public welfare of all Goans – not to betray it. Claude Alvares and Rahul Basu are part of the Goa Foundation.